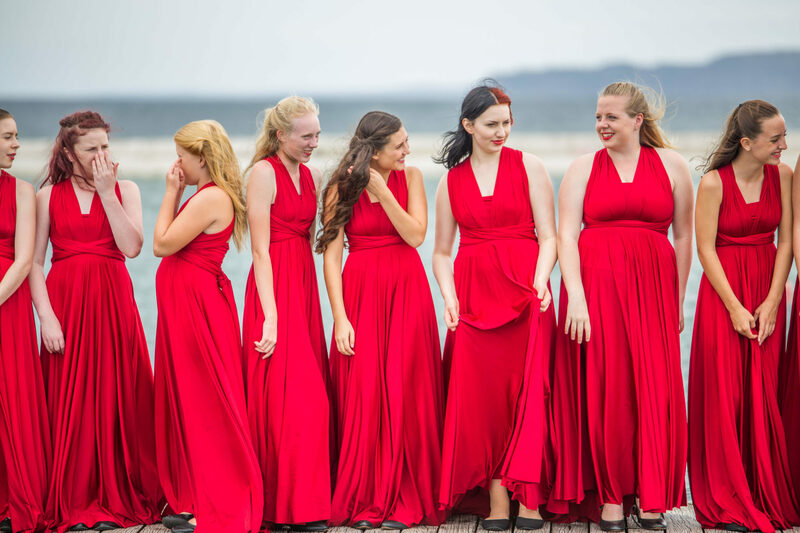 The Australian Waratah Girls’ Choir is a not-for-profit organisation which continues to provide musical training within a supportive framework due to the tireless efforts of our volunteers, donations from supporters and extensive fundraising activities. We strive to keep fees to a minimum so that WGC membership is within reach of all families. A one-time only, non-refundable fee of $50 is payable upon registration. This covers administration costs, chorister insurance and rehearsal shirt. Additional rehearsal shirts are available from the Uniform Manager at own cost. A refundable uniform bond of $50 for Junior Choristers and $100 for Senior Choristers is payable prior to receipt of your choir uniform. Payment will be fully refunded once the chorister has ceased membership and returned their uniform to the uniform manager in a clean, acceptable condition. If circumstances arise whereby fees cannot be paid by the due date then contact should be made with the Treasurer to arrange an alternative payment schedule. Full annual payment made by the end of February will attract a 10% discount. Additional sibling discount available on request.